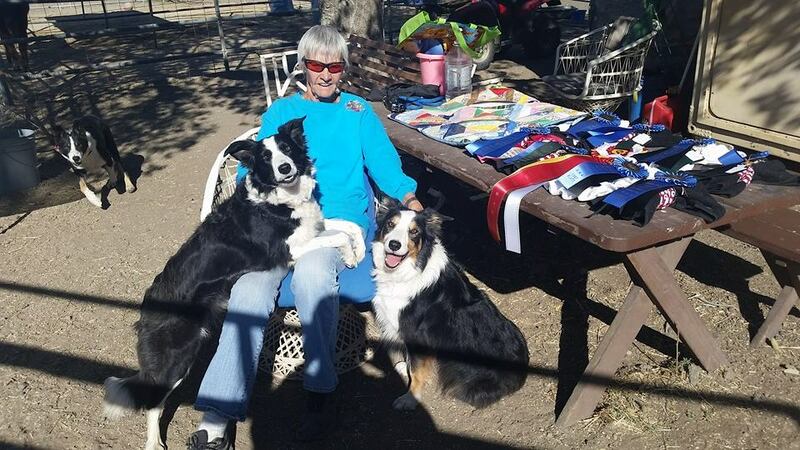 It's not unusual for several of the On the Lamb Dogs and On the Lamb Students to go out to compete in trials and come back with lots and lots of prizes! 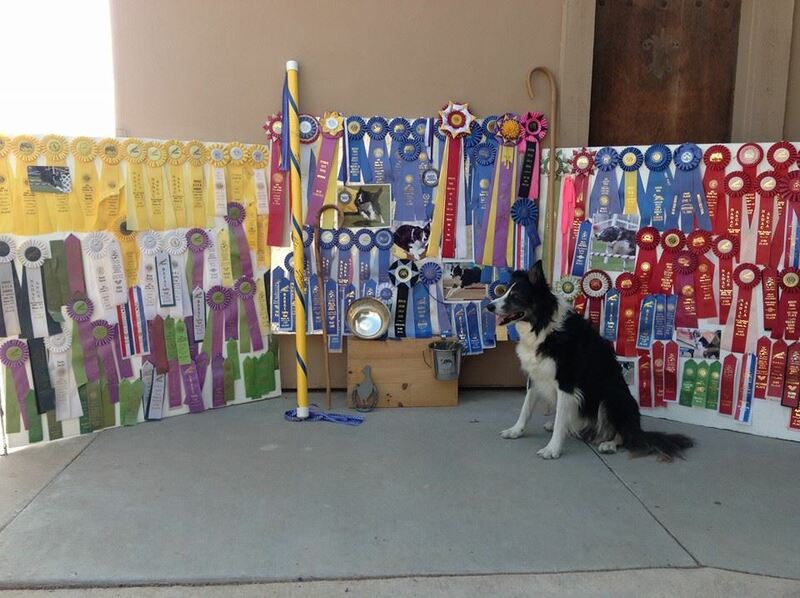 Owned by Lynne and Steve Kohler has done wonders in herding, agility, soccer, surfing, and skateboarding! A dog who can truly do it all! Owned by Joann Borchard. Belle recently won first place in Novice Standard and first place in Novice Jumpers in the same weekend! Handled by Madeline Roozen. This pup won first place in ALL 3 Novice USBCHA trials in the same day! Owned by Lynne and Steve Kohler. Showing off his agility ribbons! Owned by Pat Charlton. Robbie won High in Trial with a score of 99.5 on Geese! Handled by Marsha Dales-Bain. Spin and her father, IMP Bean recently won 8 first places and a RHIT all in one trial! Owned by Joann Borchard. Belle tried Barn Hunt and won High Novice in Trial! Robin and Marsha in April with all the loot they won from only ONE trial! Ownded by Joann Borchard. 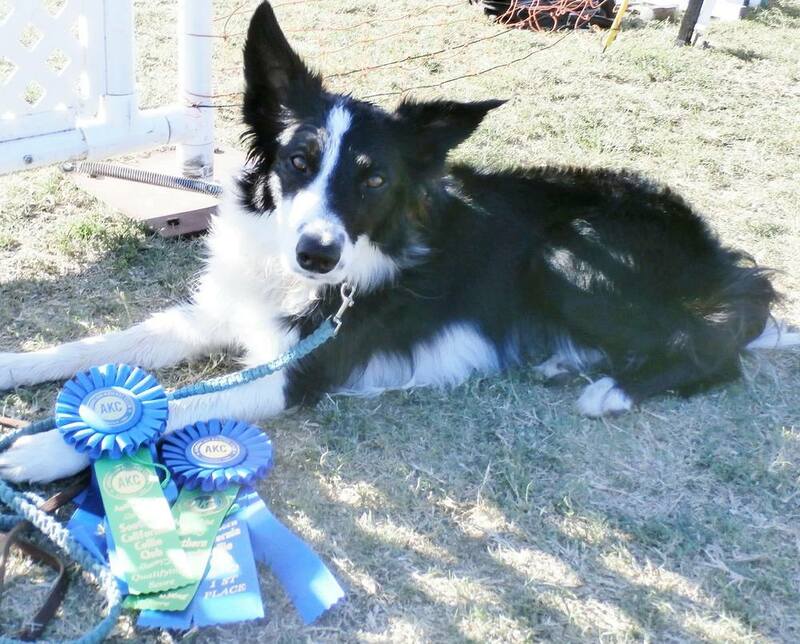 Chip won first place in his herding class, earning him the Herding Started A Sheep Master's Title! Belle's trademark "flying dog" pose that seems to come out when she's trialing!